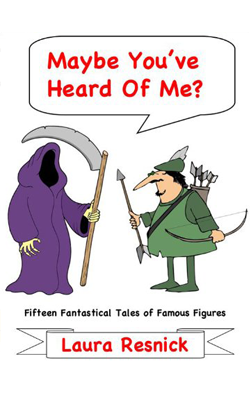 There’s a complete list of all my short fiction (more than sixty stories) in the Bibliography. The bookseller links provided here are for the edition (Feb 2017) of the magazine in which part 1 of the novella appeared; parts 2 and 3 were released in the next two issues (April & June). In addition to the usual booksellers, you can also buy Mobi or ePub formatted ebooks of the magazine directly from the publisher. 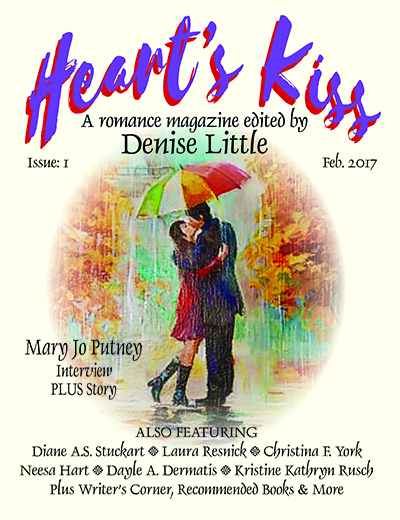 See the links at Heart’s Kiss. The sixth annual volume of the Unidentified Funny Objects anthology series! 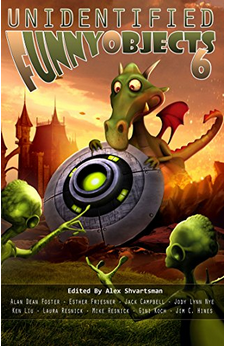 UFO6 features lighthearted science fiction and fantasy tales from the masters of the genre. In Laura’s story, “Lost and Found,” politicians in D.C. take an extra-long golf weekend after scientists spot an unidentified object hurtling directly toward Earth at alarming speed… bringing some surprise visitors. Twenty-three mirthful manifestations within the Cthulhu Mythos from best-selling and award-winning authors Neil Gaiman, Mike Resnick, Esther Friesner, Ken Liu, Jody Lynn Nye, Laura Resnick, Nick Mamatas, and many more! 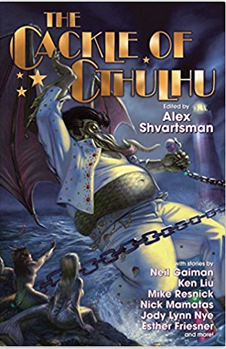 In Laura’s story—”Cthulu, P.I.”—the Unspeakable Eater of Souls solve crimes on the pulpy streets of Innsmouth, hired by a client who’s not quite what she seems to be. The blasphemy collection is here! 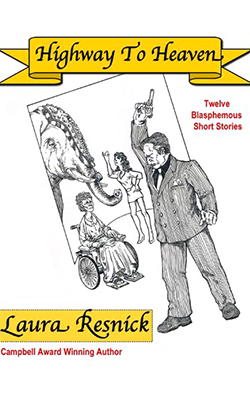 Campbell Award winning fantasy author Laura Resnick takes on heaven, hell, salvation, eternity, and Yahweh in this volume containing twelve of her short stories. In Resnick’s otherworldly collection, the Lord God commissions a wiseguy to clean up the road to salvation, the US army retrieves the Spear of Destiny from Nuremburg with the help of a mysterious operative, Professor Yahweh attempts to design Creation intelligently, and a Hollywood screenwriter seeks help from an archangel to dissolve his writer’s block. Maybe You've Heard of Me? In this collection of fifteen of her previously published short stories, Campbell Award winning fantasy author Laura Resnick riffs on the fantastical misadventures of the famous and infamous, both human and otherwise. Robin Hood experiences supply and demand problems, Merlin the Magician tries to turn a recalcitrant musician into a war leader, a lonely boy meets the Loch Ness Monster, Ramses the Mediocre hires a spin wizard to turn him into Ramses the Great, King Arthur looks for meaning in his life as he faces his death, the world’s most famous consulting detective assists a bloodsucking client who wants to be immortalized by an Irish novelist, and Santa tries to find work in a tropical clime for the abominable snowman.